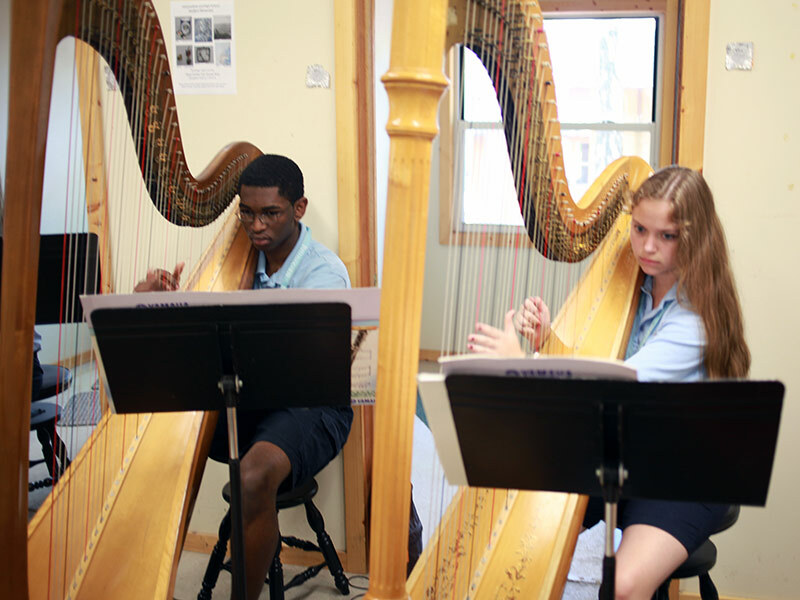 The six-week harp summer program is an excellent opportunity for the motivated student to develop as a musician and as an artist. 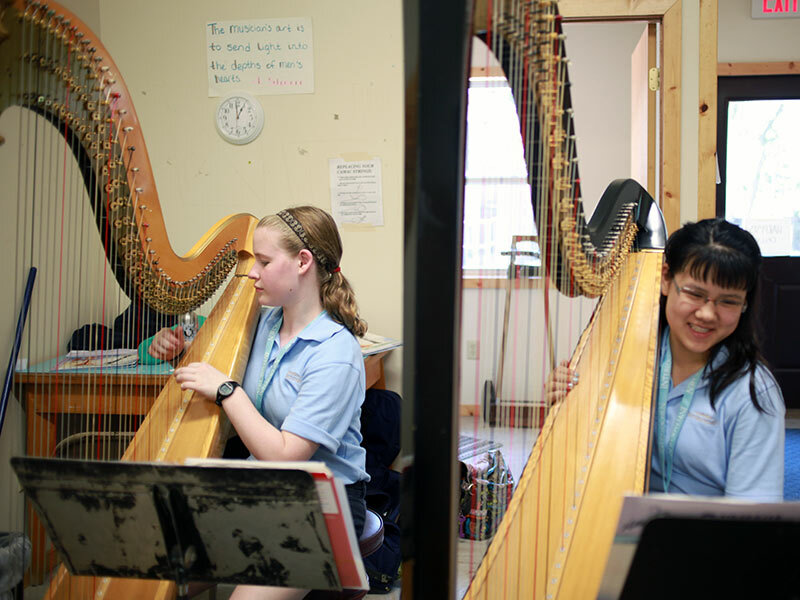 During your time here, you will work with world-renowned conductors, teachers, and guest artists, in a curriculum that emphasizes musicianship, growth, and the joy of playing with an outstanding group of fellow musicians. 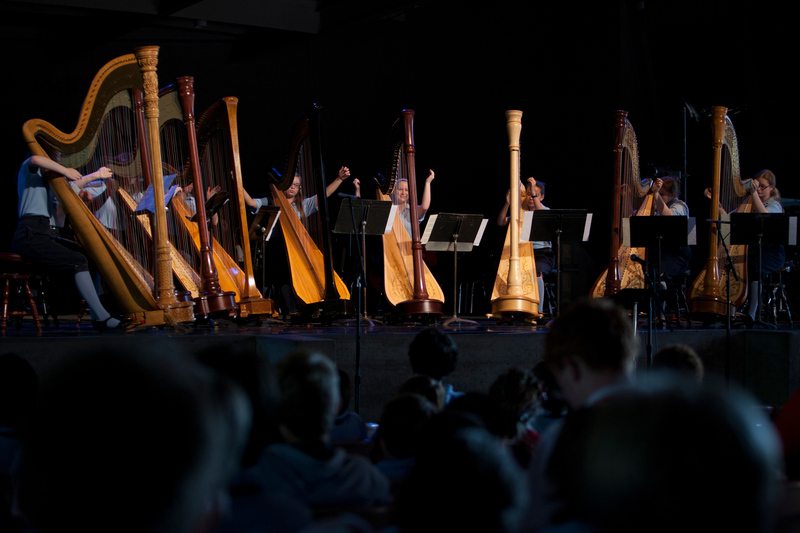 Harp ensemble is a daily, two-hour class that focuses on the skills, art, and joy of chamber music as we explore challenging harp ensemble repertoire. During this block of time, you will also have studio classes, with opportunities for performance, practice, discussion of practice methods, and the occasional guest artist masterclass. 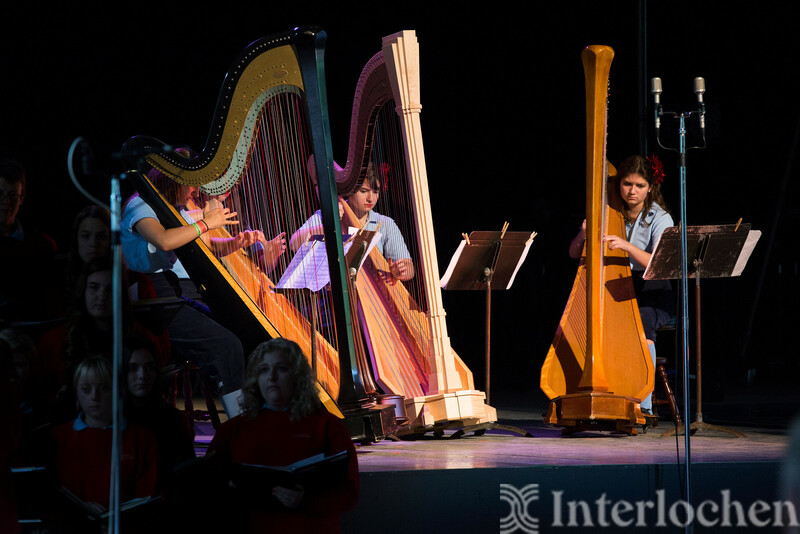 Harpists rehearse and perform with the World Youth Symphony Orchestra (see 2019 repertoire), Interlochen Philharmonic (see 2019 repertoire), or the World Youth Wind Symphony (see 2019 repertoire). These advanced large ensembles perform frequently throughout the summer, tackling challenging, mature repertoire under the direction of some of the world's preeminent conductors. 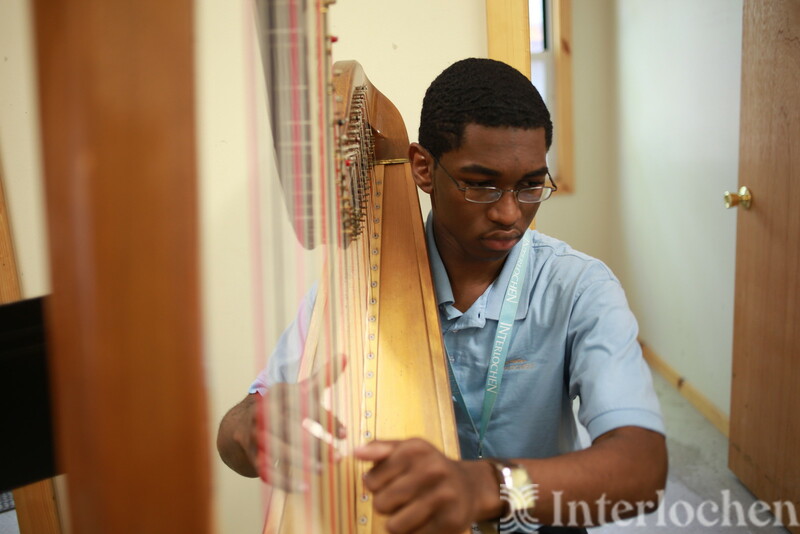 Recent guest soloists include Yo-Yo Ma, Jennifer Joh, Awadagin Pratt, Joshua Bell and many others. 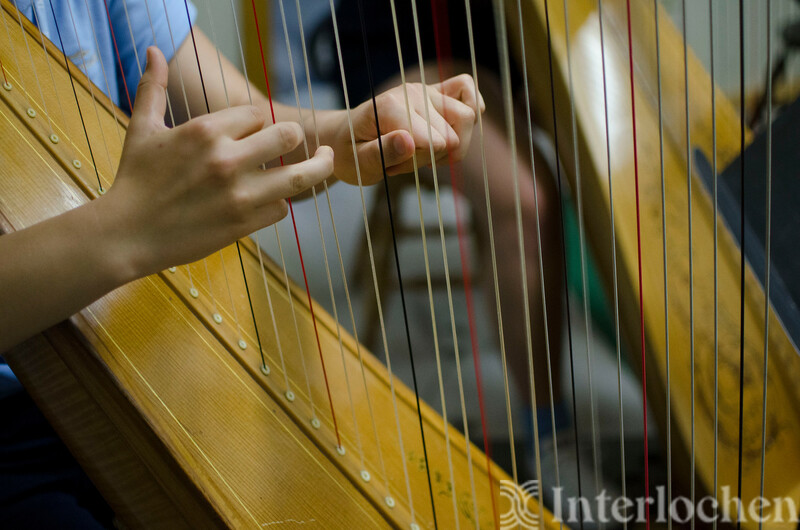 This program features a highly educated and experienced harp faculty, with whom you will have weekly private lessons. 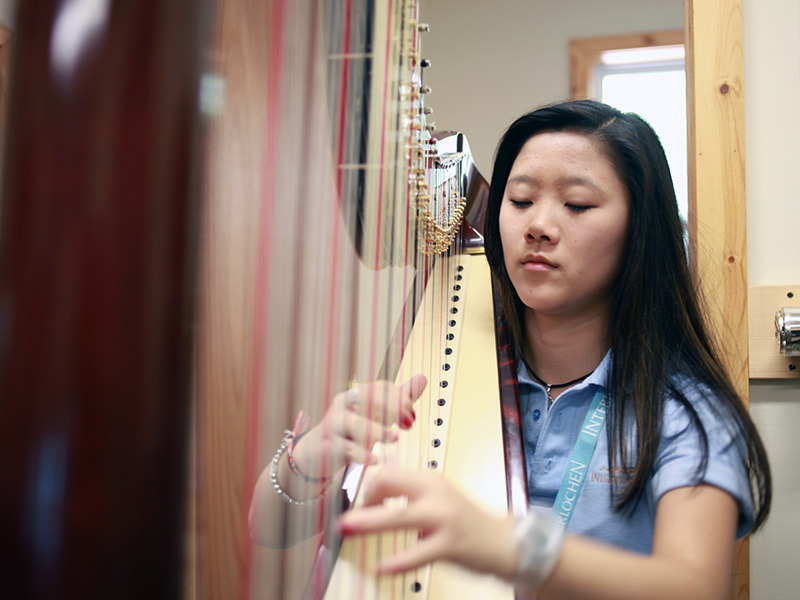 Use your two elective class options to study another art form, or choose from a variety of classes in the music department, including composition, Alexander Technique, music theory, computer music, jazz, orchestration, music literature, and more. View elective classes. 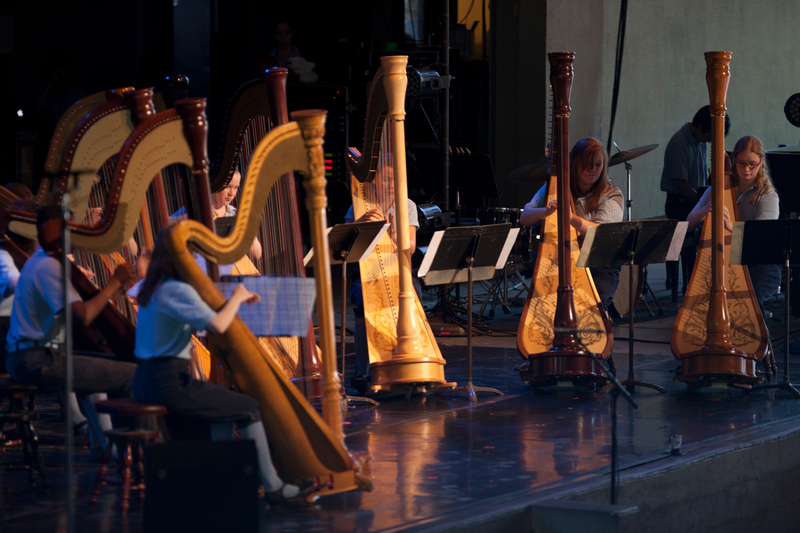 Each large ensemble performs six concerts throughout the summer. 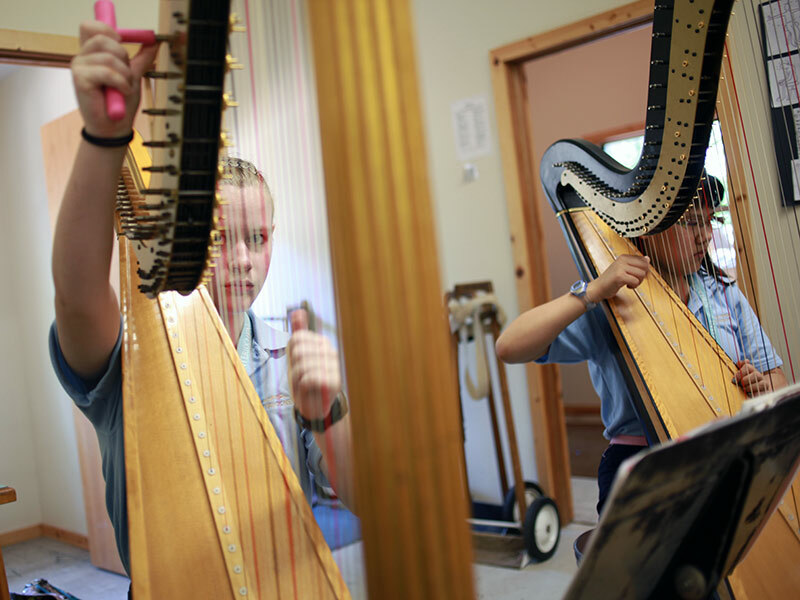 There are also numerous chamber and solo recitals. Students may compete for the opportunity to perform a concerto with one of the high school division's full orchestras or wind symphony. 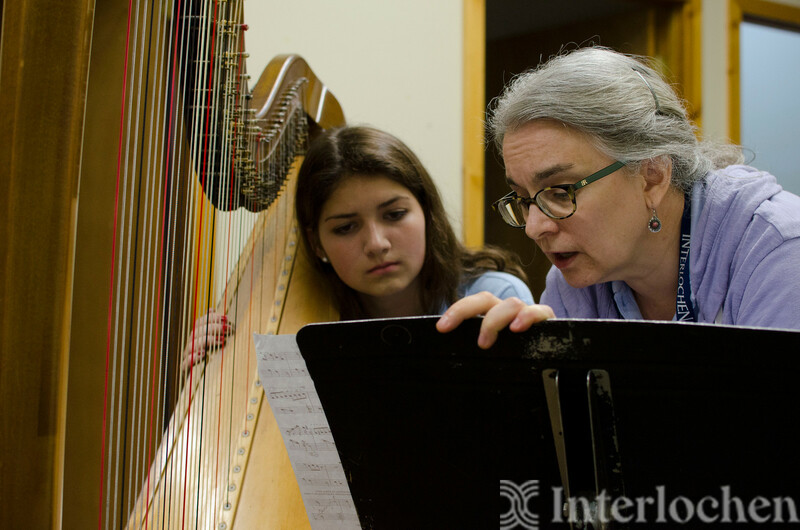 Learn more about the concerto competition. Video file #1: One movement from a piece on the suggested audition repertoire list below, or a piece of comparable difficulty. Piano accompaniment is optional. Video file #2: Choose another piece, demonstrating contrasting style and the applicant's versatility. Video file #3: One major and one minor scale, 4 octaves, hands together. 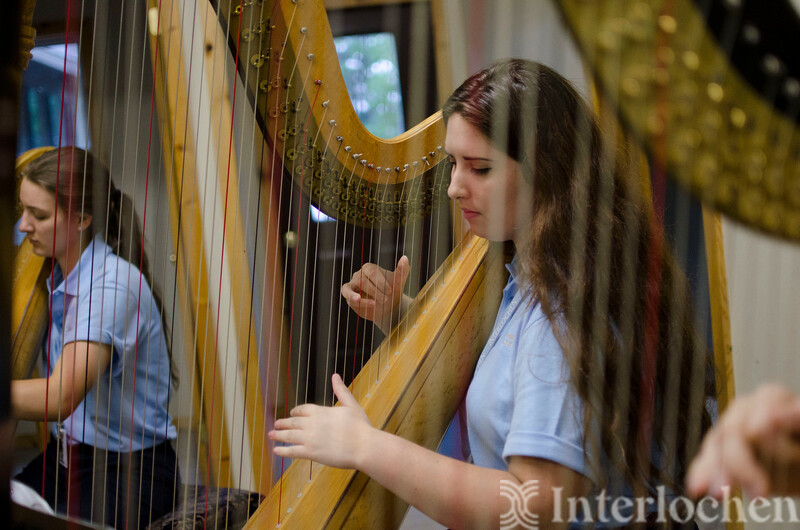 Interlochen is also home to Interlochen Arts Academy boarding high school, which offers a harp major for grades 9-12, as well as a post-graduate year.